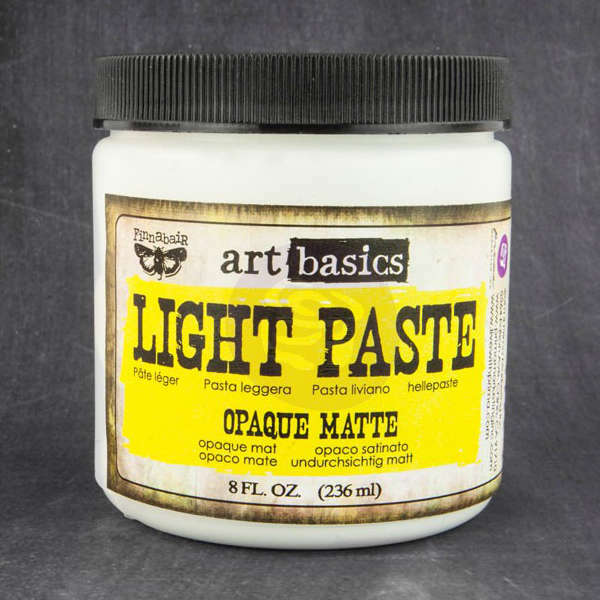 Add that perfect textural touch to your artwork using this Opaque Matte Light Paste from Prima and Finnabair. The product dries to an opaque, matte finish. The consistency is designed to hold stiff peaks to create a highly textured surface.